Like the rest of our equipment you have the freedom to take the kayaks anywhere you choose. 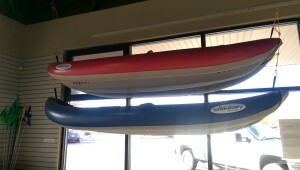 Our kayaks are inflatable so they can be deflated to fit in almost any vehicle. 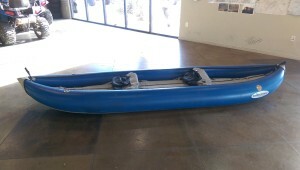 Kayaks come with a pump and life jackets at no extra charge. There are two local reservoirs to take the kayaks. The most popular local spot is Sand Hollow State Park, with its sandy beaches and an island you can kayak out to it is a great place to enjoy the water. There is also Quail Creek State Park which offers a bit slower pace and great views.